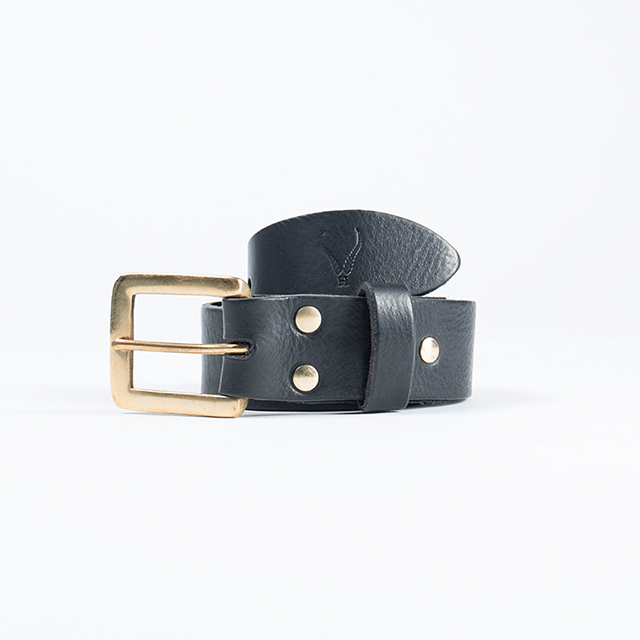 A classic belt crafted from a rich grained Italian leather. 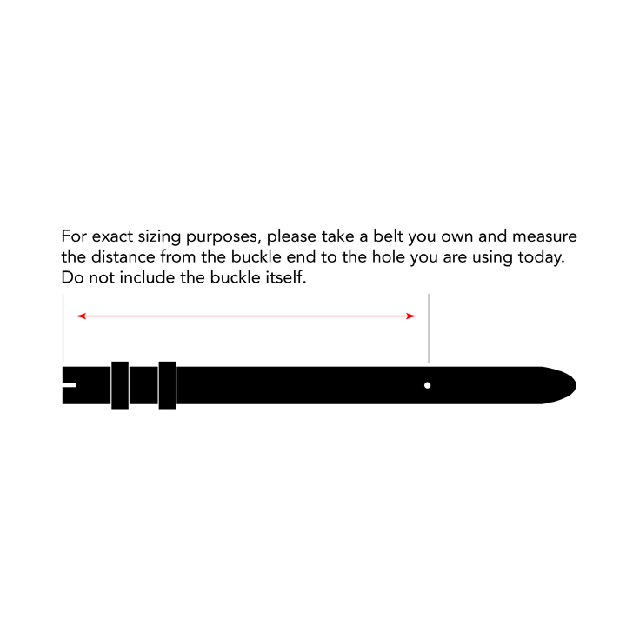 Each belt is made to order, indicate your belt size in inches or centimetres within the order notes. Please use the measurement guide provided in the product gallery. If you would like to add personalisation, you can have a maximum of 3 initials which you should include in the comments box at checkout. Select your sizing as per the image instructions. 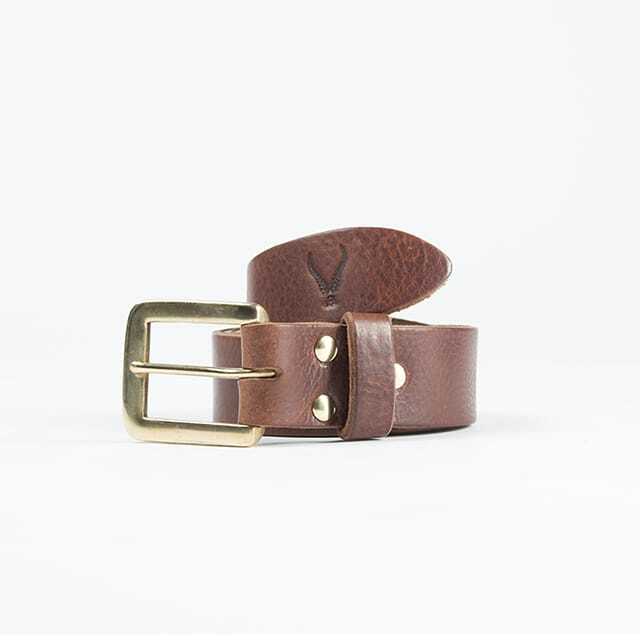 Crafted from vegetable tanned leather, this classic belt is completed with a brass buckle and a leather keeper. Finished with a Carnauba wax cream polish, which is a wax from the leaves of palm trees, this belt will age displaying the uniqueness in the leather grain and a matured soft to touch feel. A great daily staple for casual and formal wear. Vegetable tanned leather, steel rivets, brass buckle. I believe I find my voice through making and the language spoken is leathercraft. I have this attachment to the idea of creating items that embody the processes of the craft, having something that isn’t mass produced but made by someone with a love for what they do. I always say I just love to make, it’s as simple as that but it’s a deep passionate love for crafting. The vision has always been to develop simple and stylish creations. Every item is made using traditional methods and tools, which reflects in the final design - a combination of traditional techniques and contemporary features. The biggest and constant inspiration is the craft itself, and I try to highlight this in every design, by showcasing specific details such as the stitching, debossing or edging technique. I also love the indescribable feeling of knowing that people are going about their everyday life using and carrying my creations. Passionately handcrafted leather goods and accessories, designed and crafted with the quality of human time.